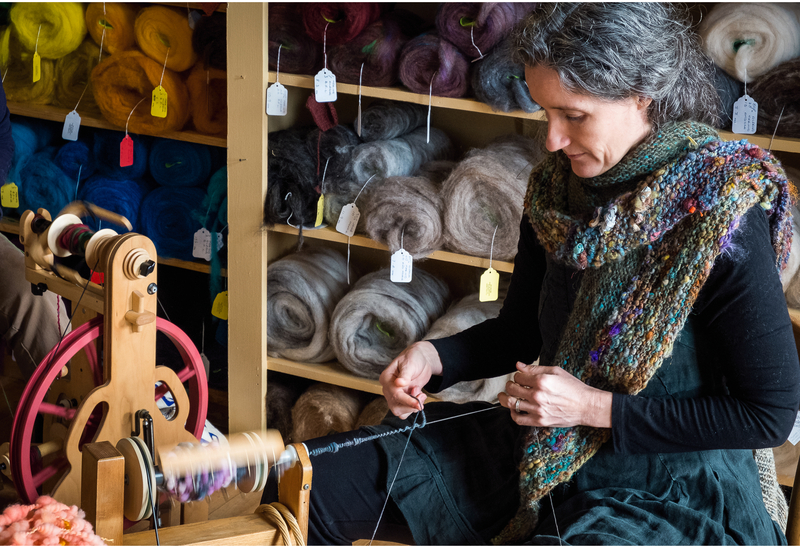 Make your hand spun yarn expressive, adventurous and intricate with this intensive class on textured spinning. If you are comfortable making “vanilla” yarn, but want to try new techniques, Tracy will get you started on texture. The class will explore thick & thin, coils, beehives, cocoons, thread-plying, auto-wrap, add-ins, and anything else you want to try. Even if you don’t know what all that means, come and have fun experimenting with creative yarn-making, and bring a wild imagination. 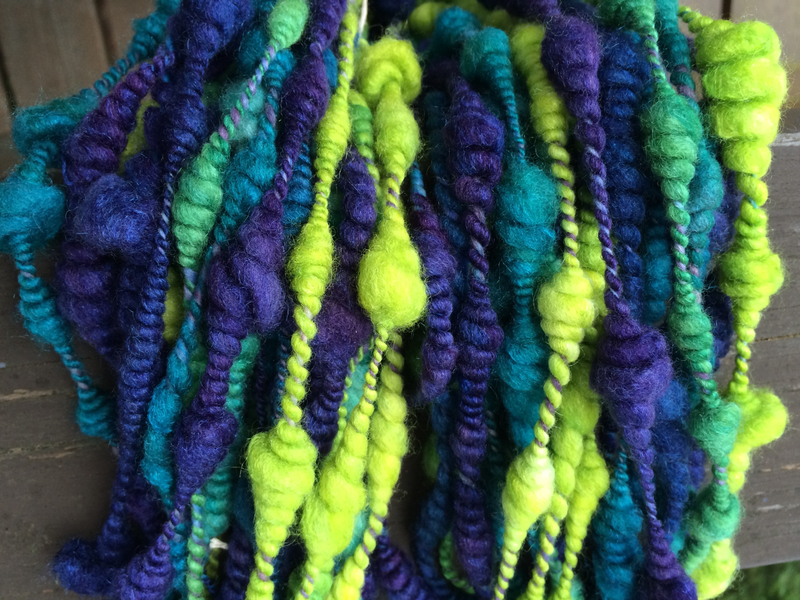 The possibilities are endless for making a skein of yarn into a sculptural work of art. Class fee $50 + materials. Materials for class are available for purchase at BG, and will be discounted 10%. Students need to know how to spin yarn. 1 oz fiber of a different color or type for making cocoons, etc. Pre-spun singles for building upon would also come in handy, if you don’t want to take the time to spin them during the class.